Some wrinkles and undesired lines develop on face together with age, sun light and mimics. Filling substances are used for elimination of fine and deep wrinkles, wound scars, holes, thickening lips, filling cheeks. A younger appearance is gained in a short time and tired appearance is eliminated. What do filling substances contain? Fillings substances (FS) usually contain collagen or hyaluronic acid or some others. Filling substances fill the underneath of wrinkles and provides a smoother skin and a younger appearance temporarily. They may be used in combination with Botulinum toxin when required. What are the purposes of filling? Filling substances are used for elimination of fine and deep wrinkles, wound scars, holes, thickening lips, filling cheeks. A younger appearance is gained in a short time and tired appearance is eliminated. Wrinkles and sagging develop due to decreased elastic fibers, collagen fibers, fat layer and hyaluronic acid particularly in eye, mouth, cheek, nose, forehead regions. Filling substances are successfully used in sagging and wrinkles in lower face. Filling substances are applied for providing a thicker and younger appearance of the lips. They may also be used for treatment of deep wound and acne scars. 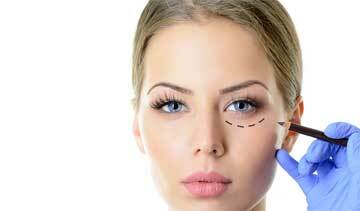 Filling substances are injected for elimination of the wrinkles and skin defects. Sometimes filling substance may induce collagen production. How many types of filling substances are present? What are non-permanent filling substances? This group of filling substances contain hyaluronic acid. They stay for 6-12 months. Hyaluronic acid differs according to weight and bound type. Many different brands of hyaluronic acid preparations are available. Some of them yield more permanent and better outcomes. Filing substances which do not lead to side effects are used for correction of peri-orbital, per-oral and naso-labial wrinkles. What is hyaluronic acid filling? Hyaluronic acid is a poly-saccaride glucose chain (NASHA). It is naturally found in human body. Its function is to carry water to skin and fix it. Synthetic or animal-derived acid may be easily accepted by the body. Hyaluronic acid may catch water more than 1000 fold of its own weight and may keep its form at injection site for a long time. It was introduced for cosmetic use after produced in laboratory environment. It is metabolized and thrown away by the body within mean 6-12 months. No allergy test is required as this type of filling substances do not lead to allergy. Restylane, Perlane, Puragen, Teosyal, Varioderm, Surgiderm, Juvaderm are this type of FS. Duration of action varies between 3-5 years. Each FS has a different mechanism of action. They are mostly used in cheeks, naso-labial lines. It is not recommended for lips. Radiesse, Sculptra, Beautical 2/5 are this type pf FS. What do permanent fillings provide? Bioalcamid is a permanent FS in gel form which contains 4% alkilimid and 96% water. Third FS is defined as “endo-prothesis” as it is surrounded by collagen. This is not an allergic reaction or foreign body reaction but collagen’s isolating the FS. This process takes 45 days and a 10% reduction may be seen in material volume however it is completely permanent thereafter. What are the differences of Bioalcamid? It may be injected in larger amounts (500-1500 cc) and removed thereafter. However it is recommended to be applied intermittently as 2 months interval in body sites where skin is thin like face. It provides permanent outcomes as it is not degraded by an enzyme and the material is resistant to oxidation and hydrolysis. Allergy test is not required. It may be stored at room temperature. It does not displace as the thin collagen material is fixed together with the FS. Bioalcamid has 3 different types. Lip, face and body. The content is the same but elasticity is different. It is used for marking lip contour, not thickening lip as it is not injected into mucosa. Bioalcamid may be used for esthetic purposes and also for correction of deformations, volumizing depressed fields, breast deformities, and volume problems in extremities. It is a FS which can be effective for a long time in wrinkles and the other skin disorders. Artecoll is composed of 30 micron globules of 2/3 denatured bovine collagen and 1/3 polymethylmetakrilat. These globules are absorbed as they are deposited in tissue and cannot be rejected. Collagen in Artecoll is absorbed at the end of 3 months however PMMA globules are permanent. 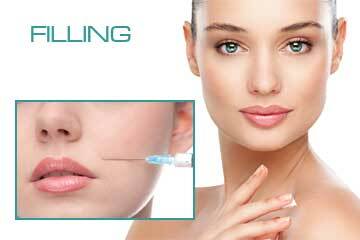 Artecoll is placed into injection site during the first 20 days. The effect starts thereafter and completely appears at the end of 3 months. Its placement in the skin and being coated with fibrin fibers take min 3 months. An additional application done 3-4 months later increases effectiveness. Allergy test is required 14-28 days before the application. Allerjic reaction may occur in the ratio of 1-2%. Artecoll is quite effective in forehead, peroral lines, nasolabial sulcus. It is used for filling in infraorbital region. It is successfully used fr filling operation and acne scars, enlarging and shaping lips. FS is used for treatment of peroral wrinkles and cavities in face. FS is injected with a very fine syringe. Thin lines and wrinkles are corrected with the injected gel. Who cannot be applied FS? What should be done after the application? The procedure takes min 20-30 min. The patient can immediately return to normal daily activities. What is light filling (Redensity I) ? Let your skin regain youth shine with Redensity I.
Redensity I is a novel concept between mesotherapy and filling techniques for regaining light reflecting capacity. Light filling (LF) is the youth shine obtained through giving hayluronic acid-based formula to shine synergistically for antioxidant protection by completely natural content. It is prepared with 15 mg/g concentrated hyaluronic acid for re-moisturizing and re-concentration of skin. It contains 8 amino-acids, 3 anti-oxidants, 3 vitamin and minerals for reconstruction, they were selected as consistent with hyaluronic acid and reformation of whole skin. The miracle of LF is hyaluronic acid which is available in the body. Hyaluronic acid reduces with age and this leads to wrinkles and cavities. Hyaluronic acid which enables joint mobility and provides skin firming is used as FS through producing in laboratory environment. 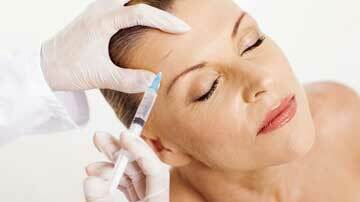 You may continue your daily life after hyaluronic acid injection as it does not lead to swelling, redness. You may have smoother and younger skin through filling the wrinkles with LF. Isotherapy is the capacity to reflect light. Wrinkles begin to be in one direction as it becomes mature and light reflection changes. Shadow regions appear and they pull attention. LF enables to reduce infraorbital shadows and to have a better humidified and fresh skin. How does LF provide benefit? Sunlight, air pollution, smoking, food, toxins, genetic aging lead our skin to lose moisture and become more opaque. 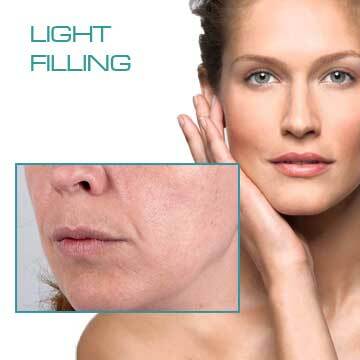 LF is a novel concept between mesotherapy and filling techniques for regaining moisture and thereby light reflecting capacity. LF is a mesotherapy procedure which provides antioxidant protection, increases firming, induces cellular renewal besides giving moisture back to skin. It significantly increases moisture capacity of the skin and a shiny appearance is provided as the moisture skin reflects light better. It also reduces infra-orbital shadow. Skin looks more moisture, more filled, more fresh and wrinkles reduce. Light reflecting capacity significantly increases through elimination of wrinkles and shadows. LF renew the skin with anti-aging effect besides providing natural and shiny appearance. While 8 amino-acids in collagen provide a basic material for collagen production, 3 anti-oxidants, vitamins and minerals enhances protection against outer factors. An excellent harmony was provided between hyaluronic acid and the other vitamins, minerals and anti-oxidant materials. Lidocaine provides a comfortable administration. To which regions is LF applied? Face and decollete are frequently exposed to sunlight. Redensity injection is recommended together with multi-bolus technique after a pre-injection for a better moisturizing. The regions like neck which are exposed to sunlight less (dark region) are moisturized less than face and décolleté. Multi-puncture technique is recommended. How does multi-puncture technique affect face, neck, décolleté regions? It is recommended for face and décolleté. 0.05 ml injections are applied into superficial dermis with 1 cm intervals. Swelling on skin surface may disappear with massage after min 1 hour, varied depending on the amount of injected material. How does adapted push-back affect? It includes visible linear injections in superficial dermis. The product is injected into skin with 45 degrees of angle and needle is drawn back. Massage should be done on injection site thereafter. How does multi-puncture technique affect? It is based on small amounts of multi-injections into epidermis with a small gun. Injection points are close to each other and equally distributed on surface or these points would create a line. The layers of the skin are epidermis, dermis and subcutaneous tissue from outer to inner. Each of these layers differently absorbs and reflects light. The light which is absorbed and reflected in different layers is perceived as shine. Light touches stratum corneum, the outmost layer of epidermis, when reaches skin. Stratum corneum gains a smooth structure if the skin is adequately moisturized and reflects light as shiny surfaces. If stratum corneum is dry and not moisturized, regular structure is impaired, reflects light with unequal angles and it is perceived as opaque. Dermis is rich from vessels. When the skin is moisturized, skin looks pink and healthy as the light which comes to dermis by passing stratum corneum is reflected by encountering blood circulation. Light should deeply diffused to dermis to reach dermis. Skin should have moisture to look shiny. How does hyaluronic acid in LF affect? Hyaluronic acid is one of the most important structures of the body and present everywhere from blood vessels to internal organs, skin, joints. Hyaluronic acid is the main structure of connective tissue. It is most prevalent in baby skin. Therefore a fresh, moisturized, shiny skin is defined as “baby skin”. Hyaluronic acid consists the matrix which provides vitality, shine, moisture, tone, firmness. Aging process accelerates with the reduced hyaluronic acid beginning from years 25-30. Skin begins to lose vitality, shine, elasticity with reducing hyaluronic acid. Hyaluronic acid is a pure substance. It should be emphasized that it is not a chemical or artificial substance. Pure hyaluronic acid enhances the defense system of the body and delays aging. What are the fields that hyaluronic acid is used in medicine? Hyaluronic acid has been used for cell renewal (tissue regeneration) for long years and also in orthopedics for cartilage regeneration of knees, shoulders. What is the duration of LF application? It is applied as 3 sessions with 3 week of intervals. A visible shine is obtained with the accumulative effect beginning from the first application. What are the side effects of LF? Most of the patients stated that they did not feel pain. Lidocain reduces pain during application.